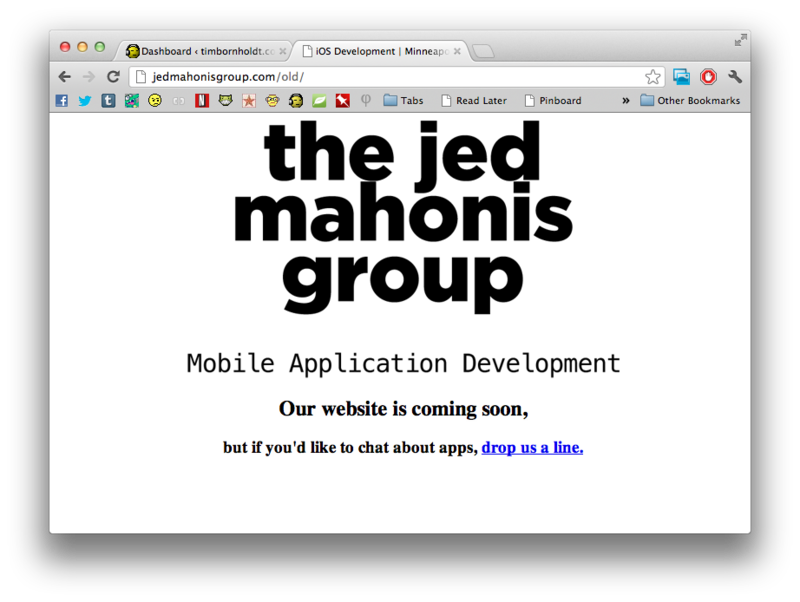 We launched the Jed Mahonis Group's company webpage yesterday. I still have some work that I want to do on it, primarily in the copy-editing and photography portions, but I think it's a great start. And frankly, it looks much better than the old splash page we used.